This one of a kind apron is reversible. 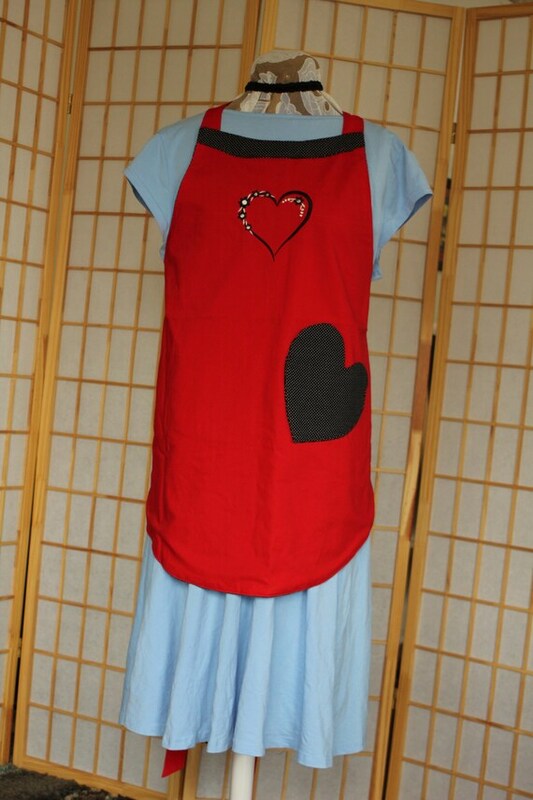 One side is red with black polka-dot heart-shaped pocket. The other side is black polka-dot fabric with a red heart-shaped pocket. Each side has a different machine embroidered accent heart. Machine washable on delicate cycle and can be put in the dryer on a low heat setting. 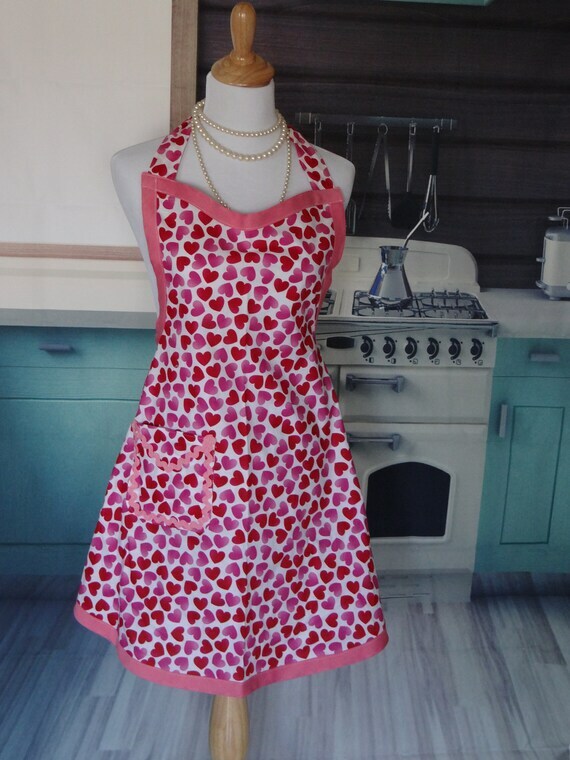 You can add a little bit more love to your cooking when wearing this retro heart print apron in the kitchen! It would also make a great gift for a bridal shower or Valentine’s Day. Will make to order in sizes Small, Medium and Large. 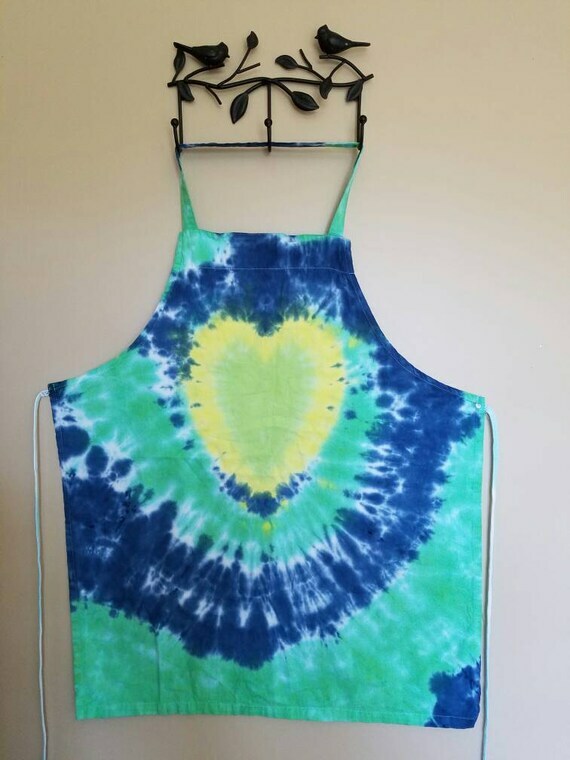 This apron was hand-dyed with love! It’s adult sized, pre-washed and ready to wear! Apron is 27 inches long, 23 inches wide at the waist and has 45 inch apron strings which can be tied in the front or back. One size fits most. However, the apron would be too small for a large woman. 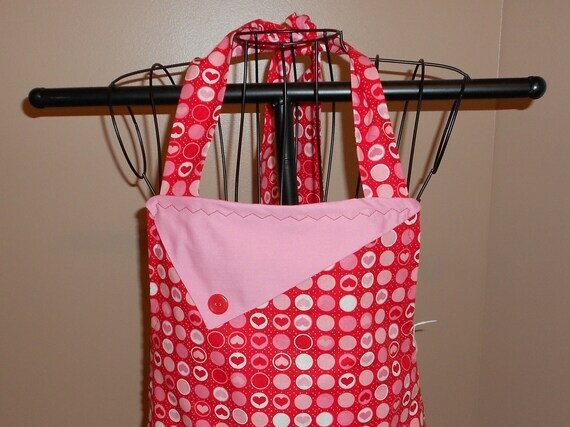 The apron is handmade by me in Missouri from 100% cotton quality fabric. Machine wash and dry. These aprons are made with care to last for years. 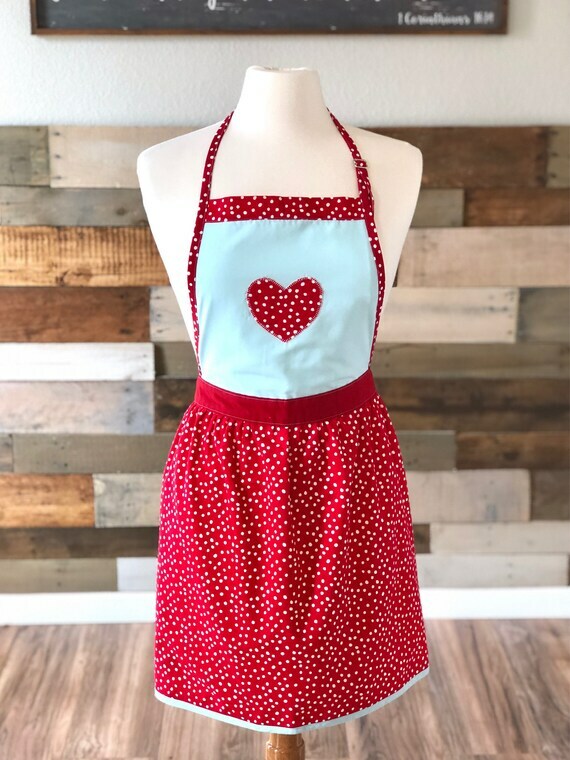 Adult Hearts Apron. It is crafted in 100% cotton. It has a solid Pink backing. One size fits most Makes a great gift. Not just for Valentine’s Day. 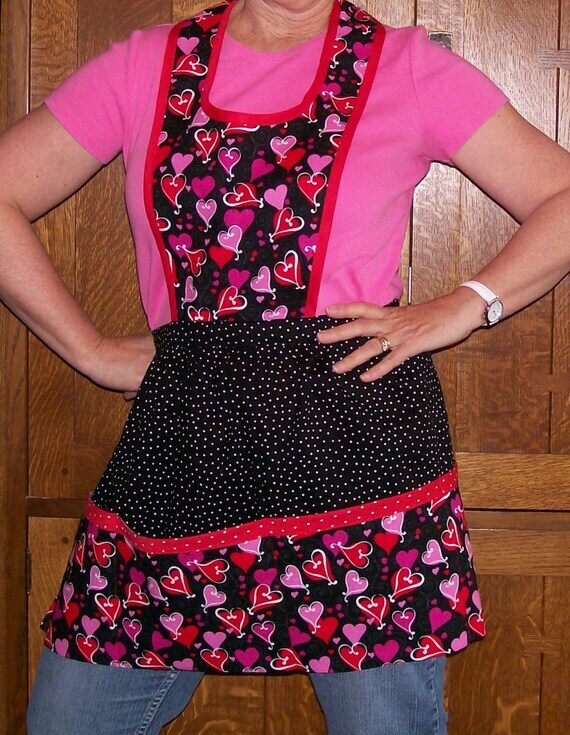 Retro Style apron with black background and pink and red hearts whimsically scattered is absolutely adorable. 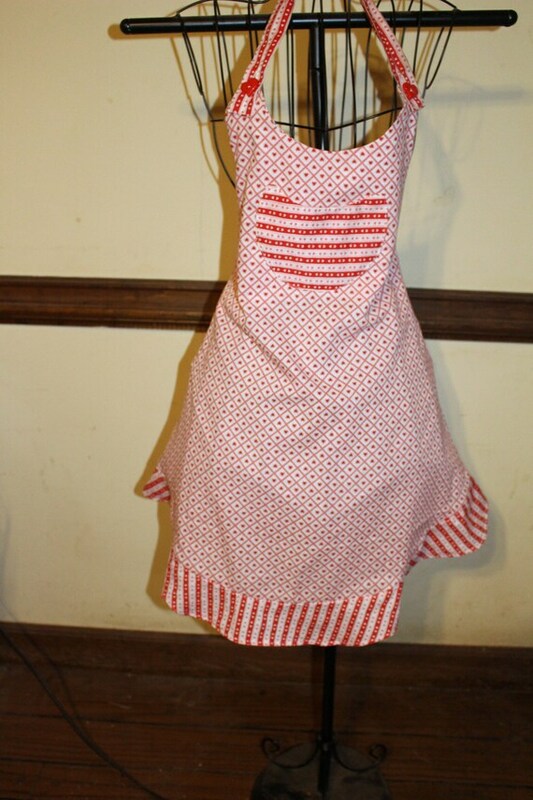 The contrasting red with white polka dots just perfect for the ruffle, pockets and ties of this charming full apron. All extra long waist ties approximately 40″ long. This apron fits most sizes. All seams are serged for professional finishing. 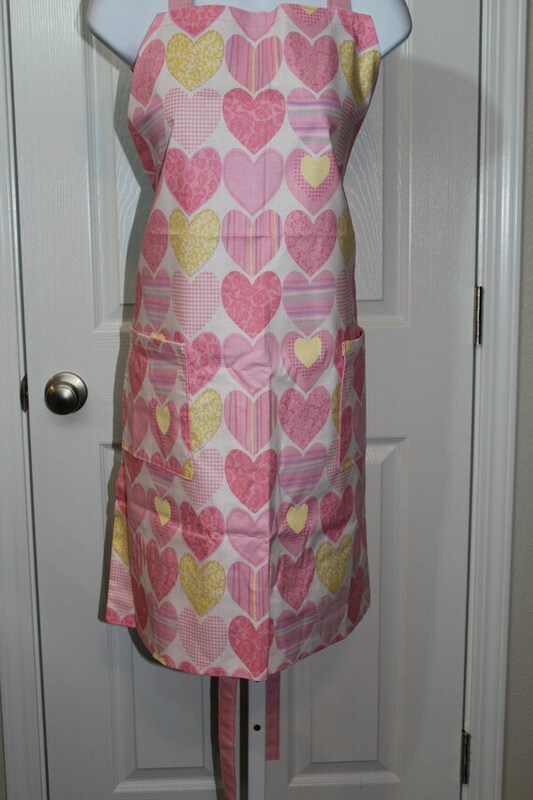 Pink Heart Chef Apron. This is a basic, what I like to call “chef’s or bbq apron”, but I’ve jazzed it up so that you won’t even know it. I used a cute fabric with pink hearts throughout, then added a generous pocket in front as well as neck & back ties that are double sided and long enough for a pretty bow in back. All edges are either covered in bias tape or otherwise professionally finished. All my designs are machine washable in cold water on your gentle cycle and will come out beautifully with a quick spin in a low dryer setting (or hang to dry). Please use no chlorine bleach. Iron only if needed. The Heart Of Glass full bib apron was made by me, Nicoleslaw! It features two matching, but contrasting fabrics: the main fabric is red with white hearts and the ties, pocket, and ruffle detail are white with red hearts. One size fits most, this is perfect for your Valentine’s Day baking or just your valentine! Thank you for checking this out! Please peruse my shop for other cute, colorful aprons! 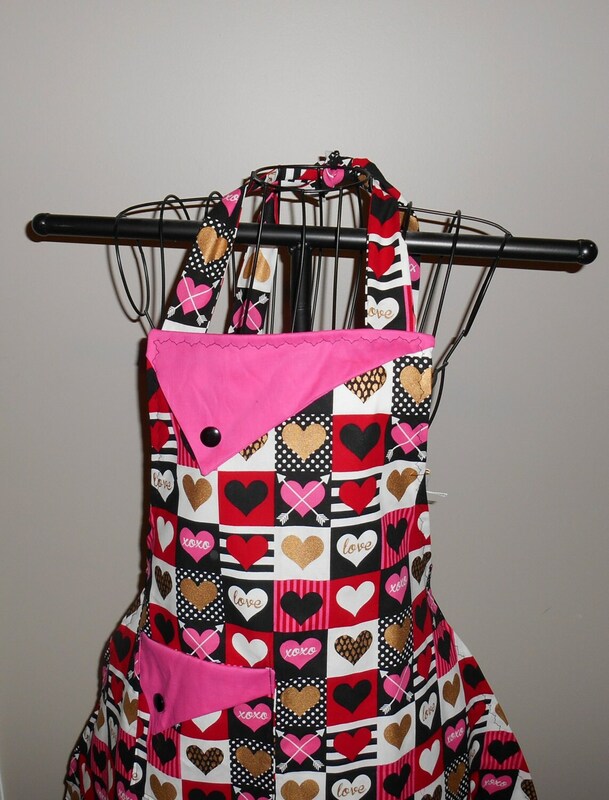 The Groove Is In The Heart apron was handmade by me, Nicoleslaw! It has matching, but contrasting fabrics. The main fabric is white with red hearts, and the contrasting fabric is red with white hearts. Perfect for your Valentine’s Day baking, or your favorite valentine. One size fits most. 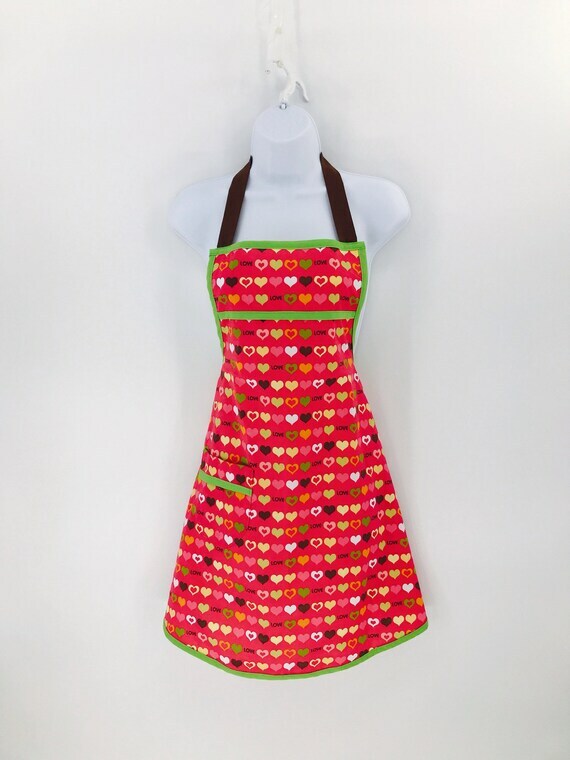 Please check out my store for other cute, colorful aprons. Happy shopping! Look chic while cooking, gardening, or crafting! 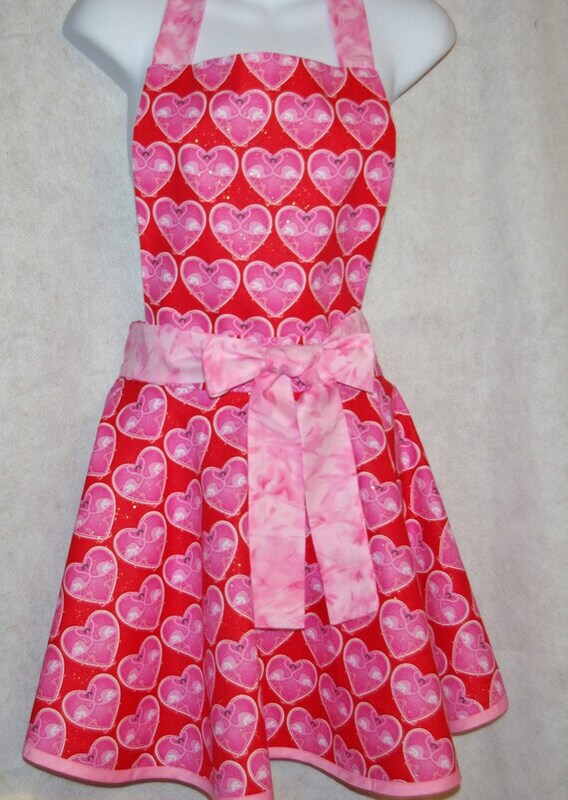 Cute, retro apron featuring a pink and red heart pattern . 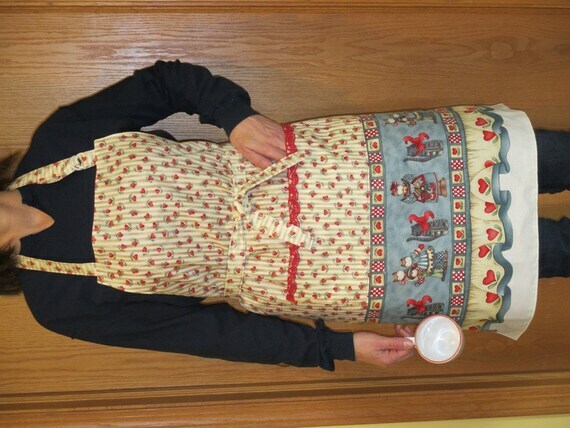 This apron is one size fits most with adjustable ties at the neck and waist. Our aprons can be machine washed, dried, and ironed. 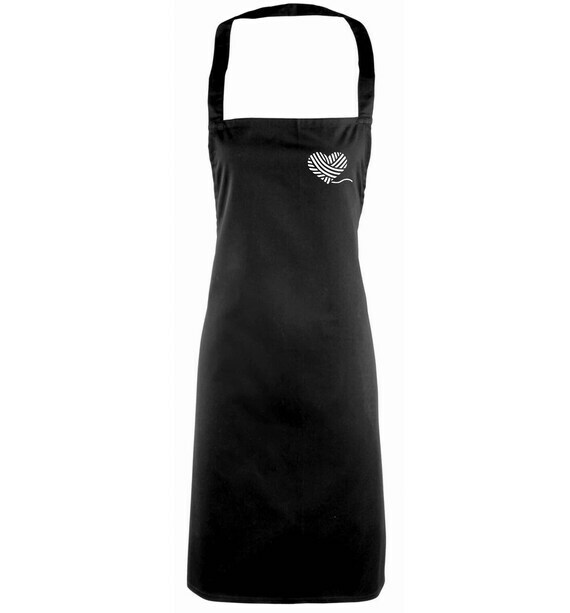 For added durability and structure, all of our aprons are completely lined on the back. 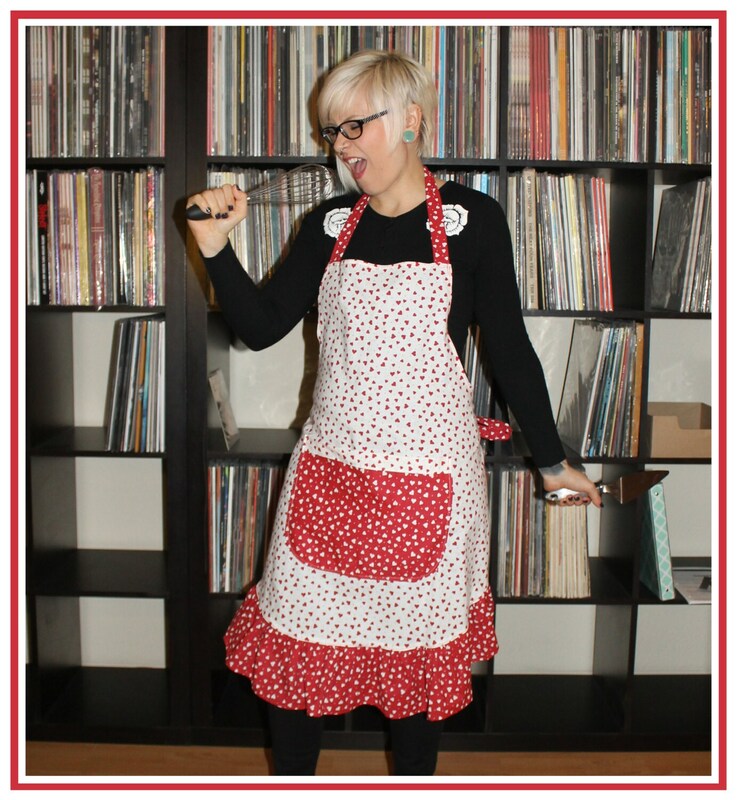 With a large pocket and a cute, complimenting ruffle, this apron is adorable and functional. 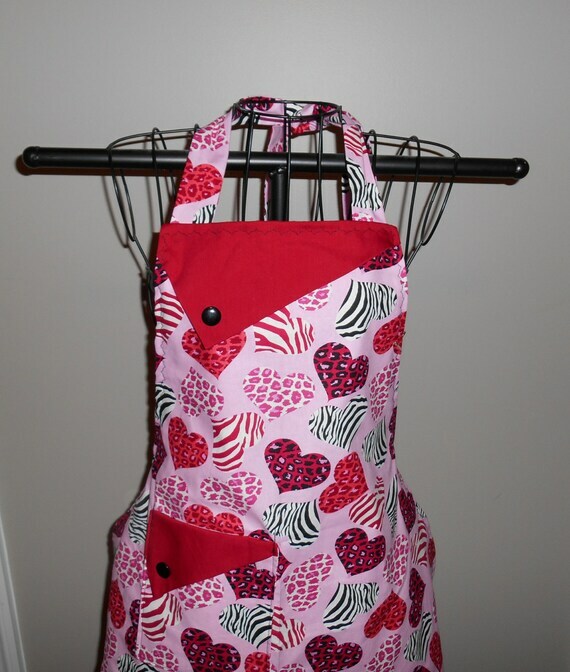 Cute, retro apron featuring a assorted pink leopard and zebra hearts pattern . This apron is one size fits most with adjustable ties at the neck and waist. Our aprons can be machine washed, dried, and ironed. For added durability and structure, all of our aprons are completely lined on the back. 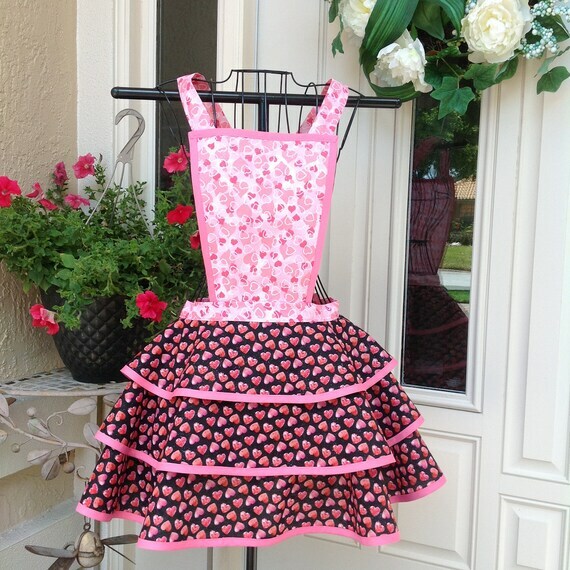 With a large pocket and a cute, complimenting ruffle, this apron is adorable and functional. 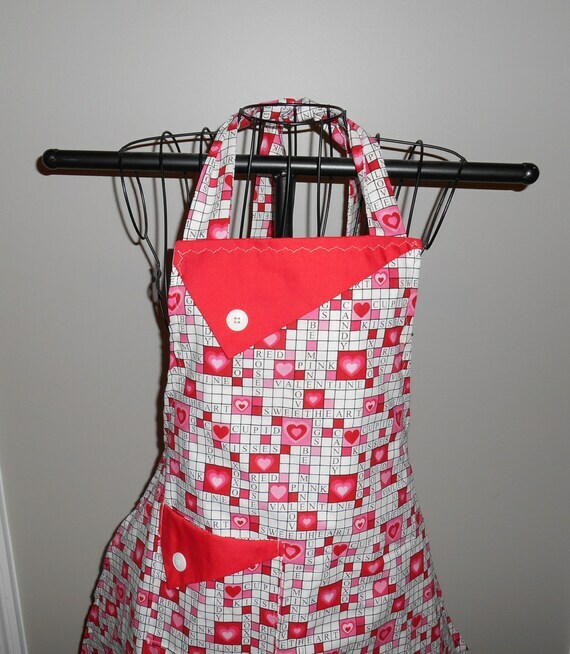 Cute, retro apron featuring a Valentine’s Day Crossword Puzzle pattern . This apron is one size fits most with adjustable ties at the neck and waist. Our aprons can be machine washed, dried, and ironed. For added durability and structure, all of our aprons are completely lined on the back. 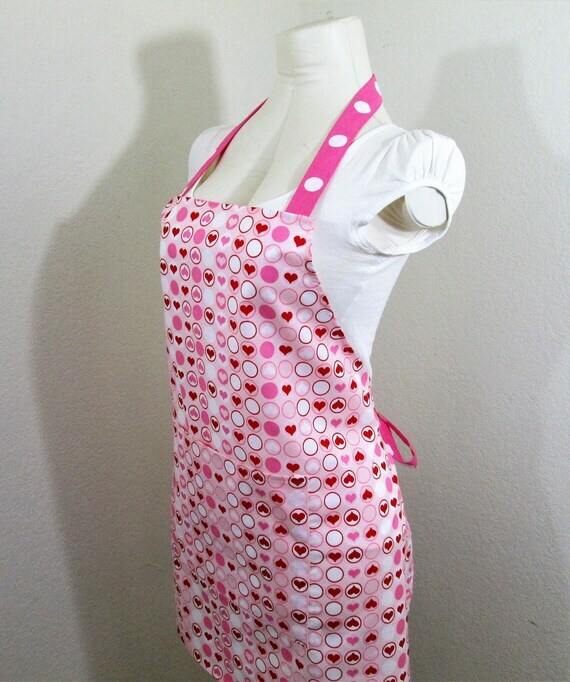 With a large pocket and a cute, complimenting ruffle, this apron is adorable and functional. 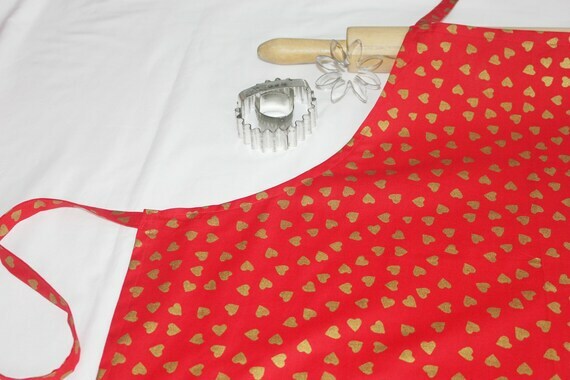 Cute, retro apron featuring a Valentine’s gold heart squares pattern . This apron is one size fits most with adjustable ties at the neck and waist. Our aprons can be machine washed, dried, and ironed. For added durability and structure, all of our aprons are completely lined on the back. 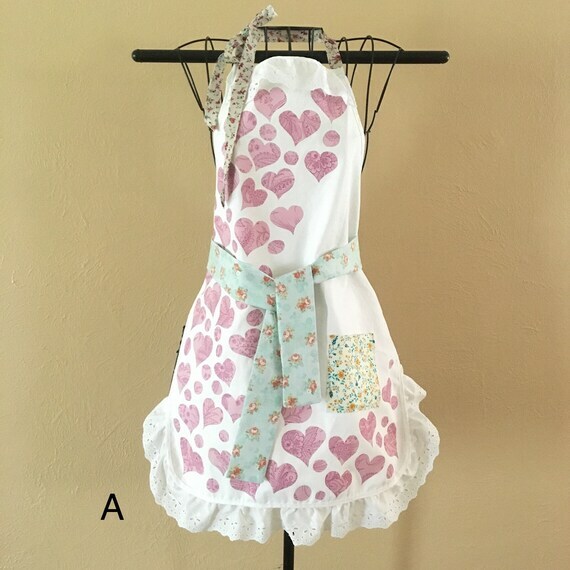 With a large pocket and a cute, complimenting ruffle, this apron is adorable and functional. 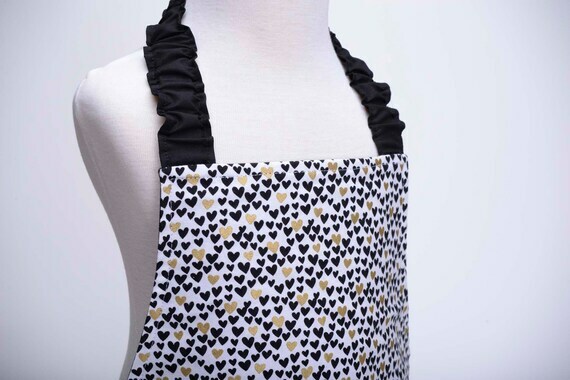 Cute, retro apron featuring a Chevron and Polka Dot Hearts pattern . This apron is one size fits most with adjustable ties at the neck and waist. Our aprons can be machine washed, dried, and ironed. For added durability and structure, all of our aprons are completely lined on the back. With a large pocket and a cute, complimenting ruffle, this apron is adorable and functional. Handcrafted Ladies Apron with Rounded Necklkine, Ruffled Hemline and Neck Straps. Adjusts with Waistline Ties. Neckstraps are adjustable by moving the Buttons. Fabric is 100% Cotton with Diagonal Diamonds and Heart Centers. Neckband and Ruffled Hem are of Matching Hearts in a Striped Pattern. Neckband is secured with Heart Shaped Buttons and Buttonholes. 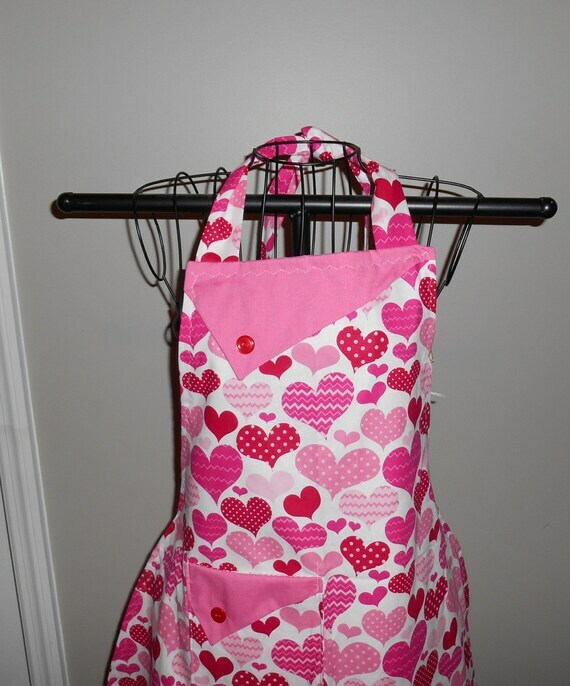 This Apron is also available in Children’s and Ladies Sizes with Custom Orderes. Alternative fabrics are also available by request. Fast tuurnaround time. I am pleased to always offer free domestic shipping! Large convenient center pocket in front. Wash with like colors cold water, tumble dry. Full bib apron ties at the neck and the waist. Red with white and pink hearts. Trimmed with red rickrack at pocket and the body of apron. Finished with a nice pink ruffle. Nice for Valentine’s Day or just for a heartfelt kitchen experience. 35 1/2″ long from top of bib to bottom of apron. Waist ties are 27″ long each. Neck ties 20 1/2″ each. Measures approx 20″ across at waistline. 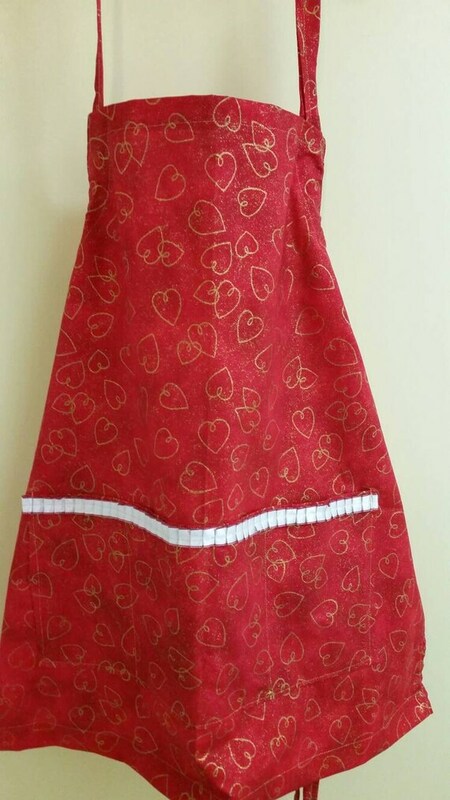 The apron is made of a red fabric with gold hearts all over it! 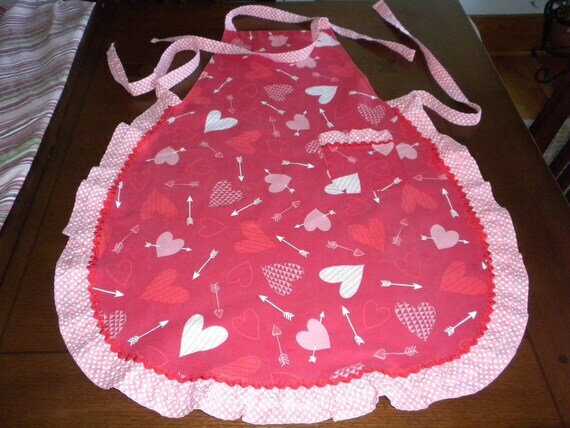 The adult-size apron measures approximately 8” across the top of the chest and 25” across the waist (not counting the apron strings). It is approximately 29 ½” from top to bottom (not counting the neck strap). 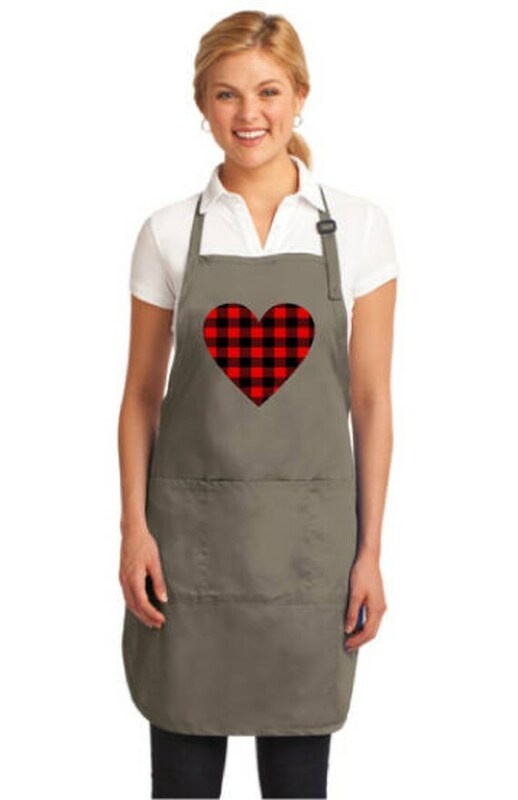 This valentine’s day apron for women or men is perfect for your special valentine. 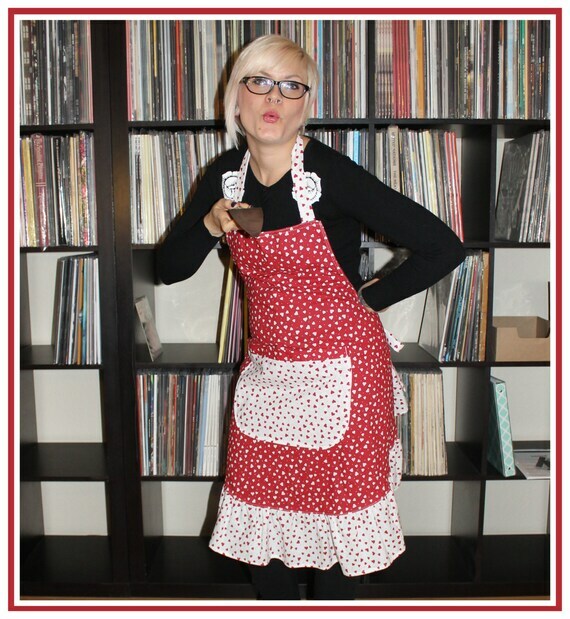 Bib style retro look apron is made with 3 fabrics: red dot, black dot and tossed hearts in red, white and pink on black. The gathered skirt has 4 large pockets across the bottom and the upper bib is edged in red seam binding. Ties are black grosgrain ribbon. This apron is Size Small (fits about sizes 6-12). My #1880. I love an apron with pockets and this one has FOUR, so it’s one of my favorites. It’s also a great retro look, which is fun. This Child’s Apron helps keep your child’s clothes clean when they’re painting, crafting or helping you in the kitchen or garden. This listing is for one (1) Child’s Apron. It would make a great gift for a little one who likes to be crafty or help out in the kitchen. It is also great for children learning to dress themselves. This apron is one for a cat lover and a big heart! Made of 100 % cotton fabrics! A fun print that showcases red hearts, male and female cats dressed in warm clothes and mittens! This apron will fit a medium to extra large person. The finished apron is 32″ long from the top of the bodice to bottom of apron. The neck strap measures about 26 inches long and is adjustable using 2 plastic rings to tighten it with. There is a pocket added to the front of the apron made into two. Pocket is lined and finished with red lace. This will hold a smaller knife or bottle opener or a phone or set of keys. The ties on this apron are 29 3/4 inches each. The width of the body of the apron is 25″. This apron is fully lined with a piece of imperfect solid burgundy 100% cotton fabric. Makes it more durable. 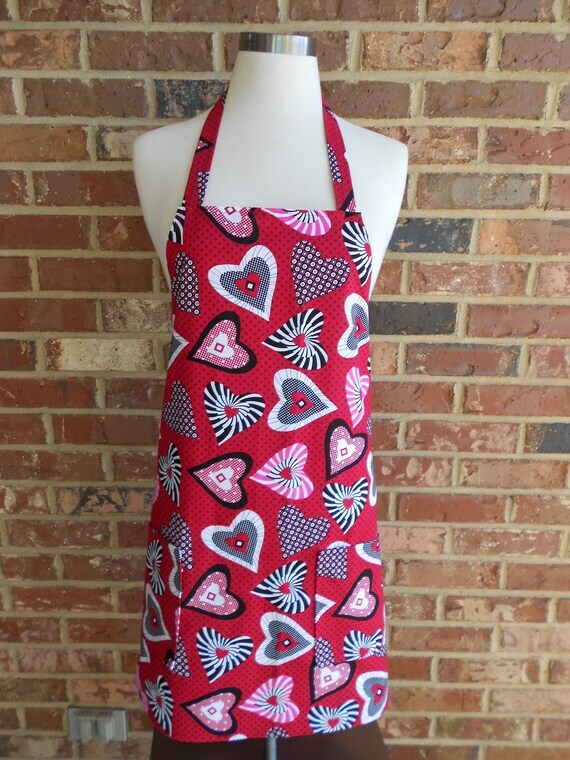 Cute hearts cover this fun plus size apron! Zebra print in black and white and pink and white make up some the heart patterns as well as polka dots, squares and diamonds. The background is a dark red with small burgundy polka dots. There are two front pockets! Perfect for the kitchen any day or Valentine’s Day! You’ll love it!! 100% cotton with one size fits most!